Many programs at CTS Canadian Career College require students to complete a placement in their fields of study. Some students resent this requirement and are unable to see the importance in the experience. Other students see the value in the opportunity and are able to make the most out of it during placement. Below are some tips on how to make your student placement work for you. Creating a positive name for yourself in your field is crucial. Being able to interact with professionals in your field and showcase your new abilities and skills learned in the program is your first opportunity to make a name for yourself with those who could be co-workers or supervisors later on. Making the most of this first impression – of you, your knowledge, and your skills – with your placement host and the staff is important. Although you are still a student, you are making an impression that they will remember when and if you are ever applying to work for them. Be punctual, professional, and engage with the staff by asking questions and seeking clarification at appropriate times. Many students at CTS Canadian Career College find employment with their placement hosts after graduating. This is one reason why our Program Coordinators put so much effort into getting the placement that is right for you and is in line with your skills and interests. With that being said, not all companies or agencies are able to hire every student they want to. If you do make a positive impression, having a reference in your field of study can be incredibly useful when you continue to search for employment after graduation. Furthermore, if you make that great impression with a placement host, you might be considered for a position when one opens, or you might hear about another agency or company to apply to from your host. 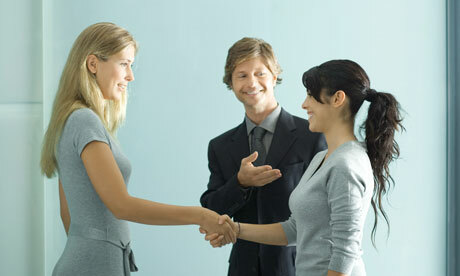 Perhaps your placement host has spoken volumes about you to another agency and they are interested in trying you out! Even if you are not offered a job, the experience your gain from your placement is valuable and highly sought after; ask those who didn’t have placement requirements in their programs! Many new graduates experience the predicament of needing experience to gain employment but not having the opportunity to get the experience – a whole chicken-before-the-egg situation. Experience gained in placement, although limited in duration, is important and should definitely be included in your résumé after it has been completed. Be sure to keep track of any duties or responsibilities you are tasked with. In addition, keeping track of what employees are doing in their day-to-day work could also be helpful in an interview in the future, when asked about career-specific tasks and requirements. Taking placement seriously and viewing it as an opportunity to prove why that company or agency should hire you is a trait we see in many students who are offered positions from placement or who are successful in their job searches soon after graduation. With the new skills and knowledge you gain in the classroom, you should be entering placement with confidence and readiness to face the challenges you are given.